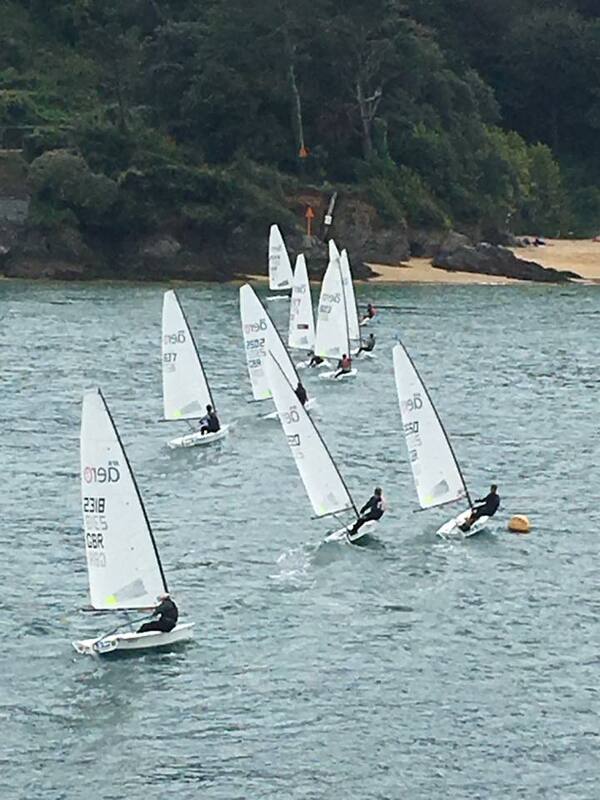 Salcombe Yacht Club host a mid September triple header Open Meeting for Solos, the single handed stalwart of the estuary, the RS Aero fleet, another single hander but a good degree sportier and the venerable clinker built Salcombe Yawls. The winds obliged and we were blessed with a decent South Westerly. It was sunny. The RS Aero class made its first visit to the club to support the growing local fleet. Competition was going to be tough with 2 of the top 10 from the recent RS Aero 9 World Championships making the trip. A decision was made to unify the fleet with everyone sailing with RS Aero 7 rigs giving the fatter boys a bit of a challenge on the lighter Saturday but looking forward to the breezier Sunday. As it happened the 9 rig sailors won through this time and it was Peter Barton who dominated the weekend with three wins out of the four races, though having a good battle with Greg Bartlett and others in each of them. The only race when the front runners were different was the first when everyone was learning the quirks of the estuary. Local sailor Tim Fells spent most of the race showing the visitors where to go, only to the passed at the end by Nigel Rolfe who took the win from Peter Barton. Overall it was a thoroughly enjoyable first visit for the class and hopes are high to return in greater numbers in 2019. An excellent weekend's racing was rounded off back at the Club with beer and pasties courtesy of sponsors Salcombe Brewery. 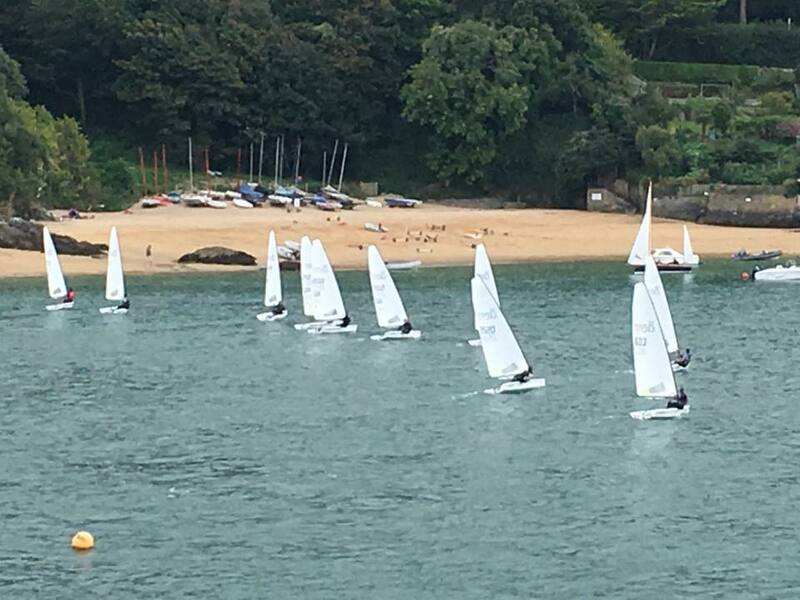 Medium breezes and windward leeward the length of the Salcombe estuary with the fortune of a SW wind blowing straight down against the tide made for a perfect weekend of racing in Salcombe. Six RS Aeros were abreast at times running down the shoreline for some splendid close racing stacked full of opportunities and comebacks at every turn. 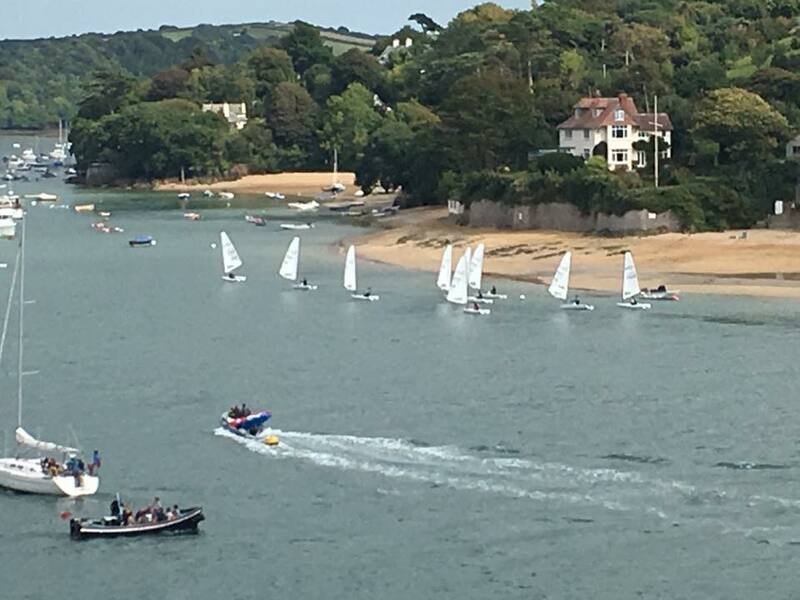 With excellent breezes and a high tide we had the opportunity to take in scenic race tours of the whole estuary! The infamous Salcombe start line, the width of the main estuary in front of the bustling town added a whole new dimension to our stadium racing concept and the challenge of choosing a good, but reliable, plan. The line is generally a little port bias, with a south westerly funnelling down the estuary. However, with less wind and less favourable ebb tide on the port shore you could lose your advantage quickly if you were not able to tack out promptly. Therefore a risk versus reward decision whether to greedily take all the bias or not!! Race 1 - belonged to the Chairman, Nigel Rolfe, but only after local hotshot and Merlin ace, Tim Fells, had schooled us all on the fast way up the harbour and the critical crossing points. Led by most people in turn on the long run down the harbour. Race 2 - After Karl Thorne led up the first beat the race then belonged to the '9' sailors, Greg & Peter, who had opted to join the '7' fleet for the weekend. Race 3 - gave a grand 90 minute scenic tour of every creek in the harbour with all conditions encountered! Led in turn by Barton, Bartlett, Fells and then Jones! Race 4 - was a simple (no race is simple at this venue!) windward leeward in the main estuary to finish with a fresh 15kn against the strengthening ebb. 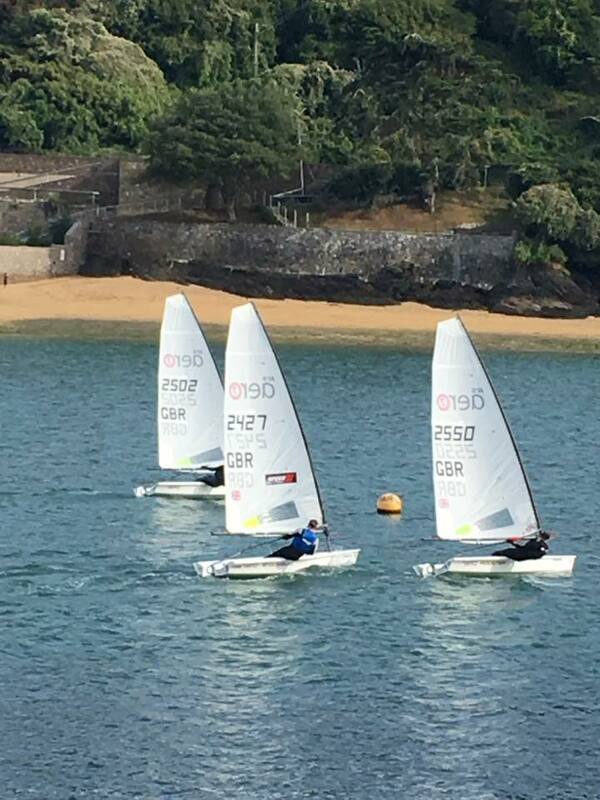 Nigel Rolfe UK Class Chairman said, "Great weekend in Salcombe, sailing is like a game of chess here, adding a different dimension!" Karl Thorne said, "We’ve only gone to paradise for the weekend! Great day’s sailing!"